Colorful, snuggly and decorative, crochet blankets are a great, versatile project for any maker. 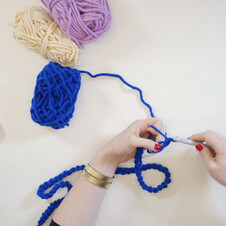 Beginners can practice their new hook skills when they learn how to crochet a blanket, while experienced crocheters can have fun experimenting with different stitches, quirky yarns and creative trims. Crochet blankets can be almost any size; choose from small crochet baby blankets worked in super soft merino to keep new additions cozy, or huge afghans hooked in a rainbow of colors to decorate even the biggest of beds - the only limit is your imagination! 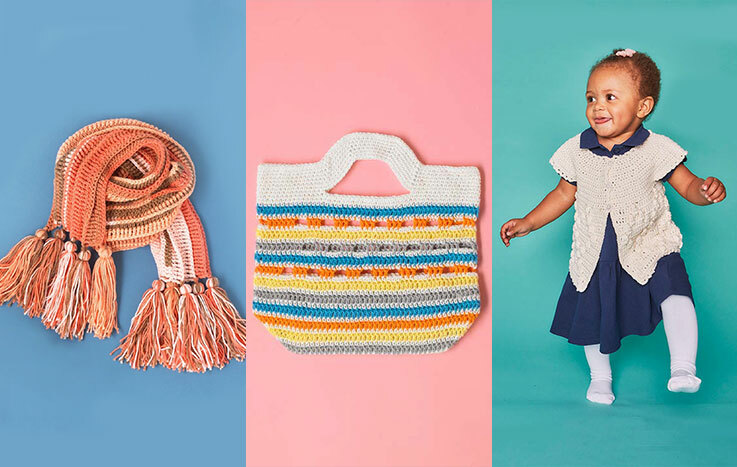 We've chosen a selection of our best patterns for our guide to whipping up your first crochet blanket - and there's even a super bright rainbow stripe blanket pattern from designer Katie from The Queen Stitch to help you get started. What are you waiting for? 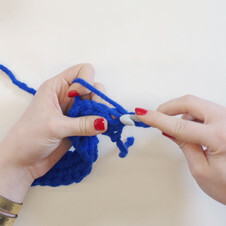 Grab that hook and get crocheting! If you're new to crochet and you want to make a fabulous multi-colored stripe blanket, you've come to the right place! 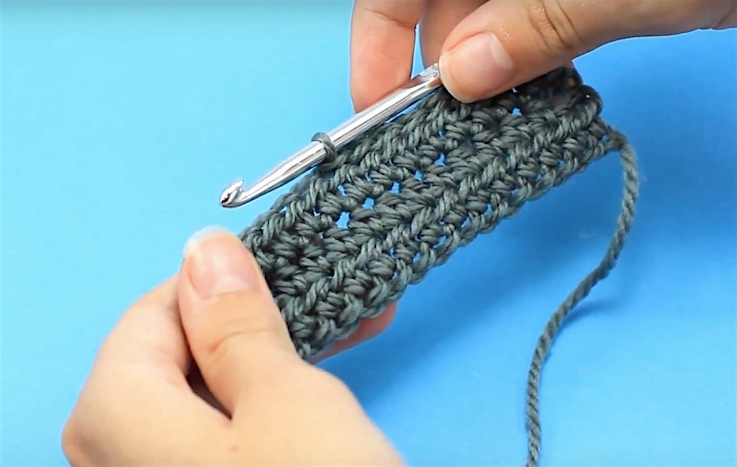 Katie from The Queen Stitch has created an amazing step-by-step video tutorial that will have you crocheting an awesome blanket in no time. 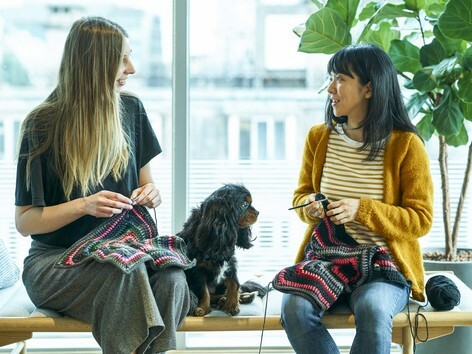 For this quick and easy crochet blanket, we’ve used Paintbox Yarns Wool Mix Super Chunky and a simple-to-learn stitch that will hook up fast with no complicated stitch repeats to learn. 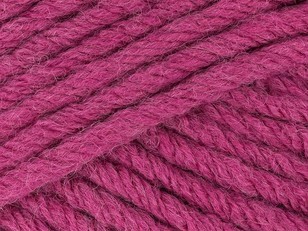 Paintbox Yarns Super Chunky Wool Mix is a gorgeously soft, machine washable yarn that hooks up super fast on a 10mm hook. For the baby blanket, Katie used three balls of each color, for a blanket sized 35" x 60" (88 x 152 cm). 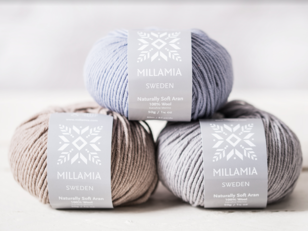 You can work your blanket in any shade, or combination of colors. Begin with color A, make a slip knot and chain 65 (64 plus one for turning.) 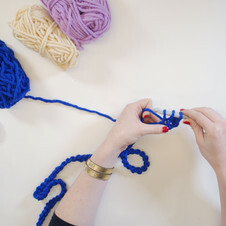 To make a chain, place the hook into the slip knot loop, yarn around the hook and pull through the loop on your hook. 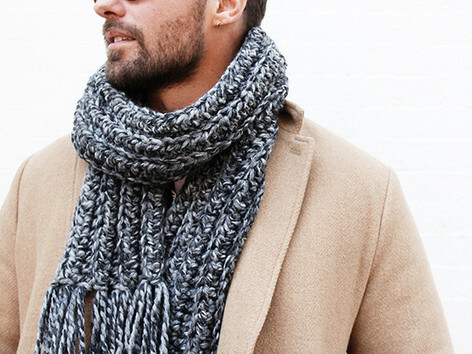 Yarn over, pull through the loop and repeat until you have the required number of chains. For Row 2 create the ridged texture. 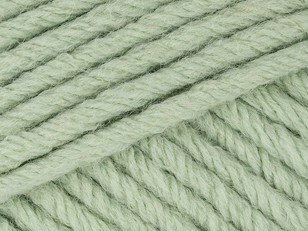 Work each half double crochet (hdc) into the back loop only (BLO) of each stitch to end, turn. Keep working into the back loop only (BLO) for every row of the blanket. For Row 3, change to color B. Working over the end of color A as you work the first few stitches. 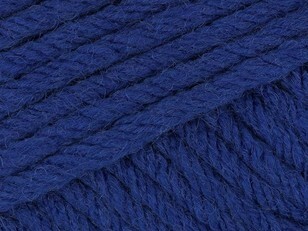 If you prefer to leave a long tail for each color and weave the ends in afterwards, you can do that too. 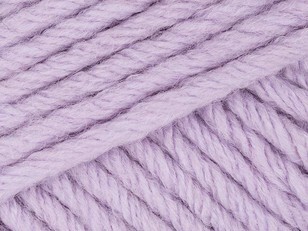 Continue working rows into the back loop, changing color as you like until you reach the desired blanket length. 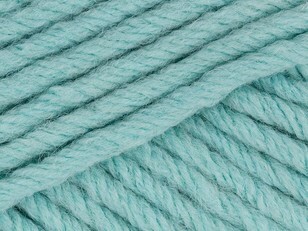 Choosing a yarn for crochet blanket projects is super fun - because anything goes! 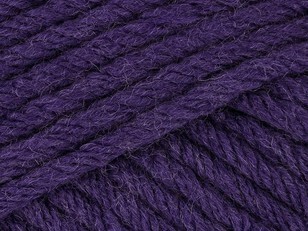 If you want a speedy project that works up in an evening, opt for extra bulky or chunky yarn, while anyone looking to add intricate detail to their crochet blanket should choose a lighter weight such as DK or sport. 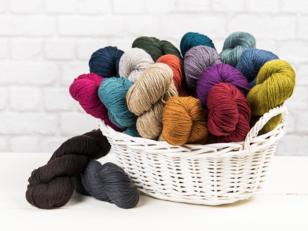 Any fiber works brilliantly; acrylic yarns wash well, and can be popped in the machine, but luxurious blends such as merino, silk and alpaca are all super soft and add a real touch of elegance to your project. The best thing about crochet blankets is that they're a great project for beginners wanting to learn how to crochet. A lot of beginner's blanket patterns are a simple row repeat, meaning that once you get the hang of those tricky stitches, you're away! 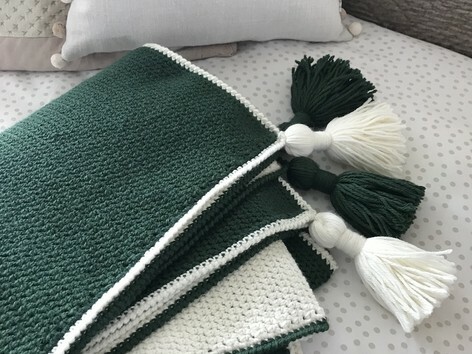 If you're an experienced crocheter, a crochet blanket is one of the best projects to test new stitches and learn new skills. 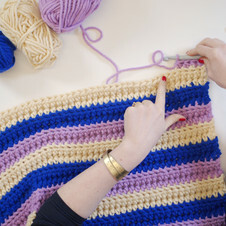 Learn how to make a crochet blanket with bobbles, fringing and color changes - the sky's the limit! If you've mastered all the crochet stitches, and you're savvy with your yarn knowledge, you can have fun whipping up a super creative work! 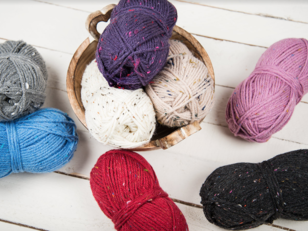 Our advanced patterns include intricate colorwork and complicated cables - something that you can really get your teeth into! A lot of crochet blanket patterns are for rectangular projects, but if you're looking for something a bit different, choose from crochet blankets worked as circles, squares, or even stars. Keep the littlest ones cozy with our crochet baby blanket patterns! 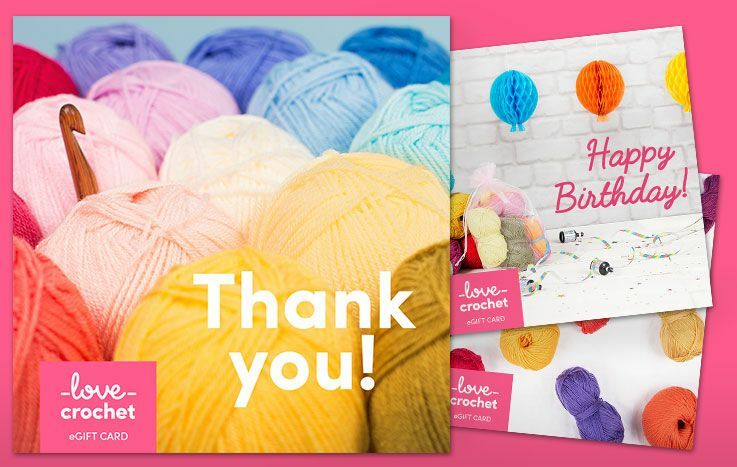 A perfect gift for a new mom and a perfect way to start crocheting for a beginner. There are tons of simple patterns to get started with. 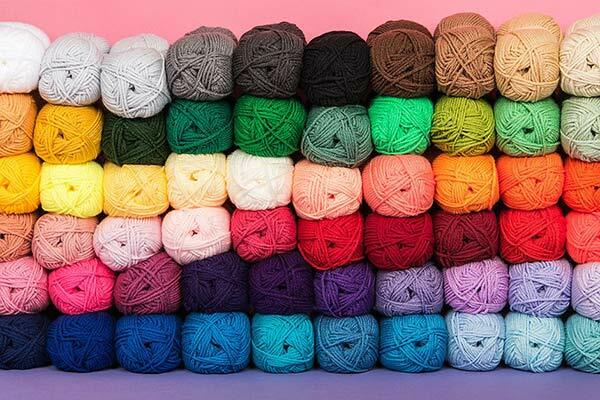 Choose the smoothest and most luxurious yarns to crochet up afghans, snuggle blankets and sleeping bags that are super soft on delicate skin. A true crochet design classic, granny square blankets can be as big or small as you like - either make it as one giant square, or whip up lots of individual motifs and join them all together for a bright and cheerful patchwork effect.